It has been 20 years since Toyota launched the world’s first mass-produced hybrid vehicle, the Prius, in Japan. In the years that have followed, our engineers have continued to blaze a trail, adopting hybrid technology in its vehicles the world-over. It was revealed this week that sales of the Prius have exceeded three-million and to mark the occasion, we take a look at how Toyota’s world-leading Hybrid Synergy Drive system has evolved. 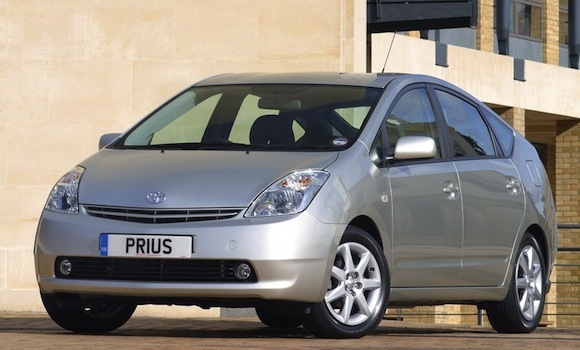 At launch in 1997, the hybrid system in the first-generation Prius consisted of a 1.5 litre VVT-i transversely-mounted petrol engine mated to an electric motor. The unit was capable of achieving 50+ mpg, and could balance the power of the two units to suit driving conditions. A power-split device with a planetary gear set served as a continuously variable transmission, concurrently distributing power to the engine, drivetrain and to the generator. Cementing its reputation for innovation and quality, the first-generation Prius was named as Japan’s New Car of the Year 1997 and Overall Car of the Year – picking up the latter again in 1998. Exports began two years later, in 2000, and early-adopters outside Japan clamoured to get their hands on the car; Hollywood actor Leonardo DiCaprio is credited as one of the model’s most famous owners. By 2003, the first-generation Prius was six years old and the time arose for Toyota to launch its successor. 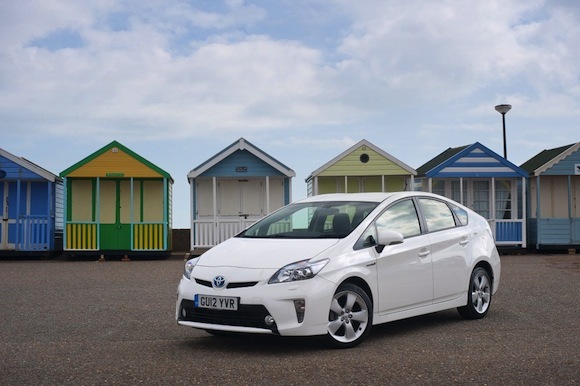 The second-generation Prius arrived that same year, and the hybrid system, known internally as ‘THS’ underwent it’s first major overhaul, becoming ‘THS II’. The engine upgrades included a boosted revolution speed with no alteration to the 1496cc displacement while the electric motor benefitted from a 50% increase in power output, rising to 50kW. The THS II unit in the second-generation Prius saw a marked increase in economy in the model, it could now claim 65.7mpg on the combined cycle – an astonishing figure for a model competing in the family car, or ‘D’ segment, even today. Four years into the second-generation Prius’ lifecycle in 2007, Toyota’s hybrid vehicles reached a major milestone as global sales surpassed one million. By now, the hybrid technology had found its way into Lexus models, demonstrating the world’s appetite for luxury, as well as mainstream hybrid vehicles. In 2009, the third-generation Prius was launched and debuted a new, 1.8 litre hybrid engine. Thanks in part to the fitment of a reduction gear and an improved 3JM motor, this super-efficient unit was capable of delivering 72.4 mpg on the combined cycle – a 9% improvement over the second-generation THS II, as well as emissions that dipped well below the magic 100g/km barrier – the car’s official CO2 output just 89g/km. 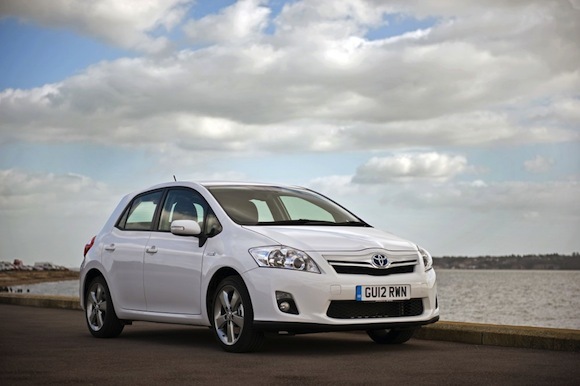 Up until 2010, Toyota’s hybrid efforts had been primarily focused on the Prius, however that year, the Auris Hybrid came to be, and provided Toyota with another market-first – a British-built, full hybrid small family car. Using the same petrol/electric unit as Prius, Auris Hybrid had a weight advantage that resulted in fuel-sipping economy of up to 74.3 mpg on the combined cycle, and a potential range of 735 miles. Though still firmly monopolising the hybrid vehicle market, Toyota was keen to move the technology of Hybrid Synergy Drive (THS/THS II) further forward, and in 2012, launched no-fewer than three new hybrid models in quick succession – Yaris Hybrid, the seven-seat Prius+ and the ultra-efficient Prius Plug-In. In Prius+, Toyota departed from tradition, opting for an energy-dense lithium-ion battery, as apposed to the usual nickel-metal hydride pack. The compact battery allows for greater interior flexibility, and lower maintenance levels compared with nickel-hydride packs. The Prius Plug-In also uses a lithium-ion battery, however its plug-in capabilities mean greater fuel economy – a jaw-dropping 134.5 mpg is possible, and the car can travel 14 miles on electric power alone, with the 1.8 litre petrol engine from the Prius automatically cutting in when the car is running low on charge. Toyotas account for 80% of annual global hybrid vehicle sales and last year 14% of all Toyota vehicles sold were hybrids – a figure that is expected to rise to 30% by 2020. 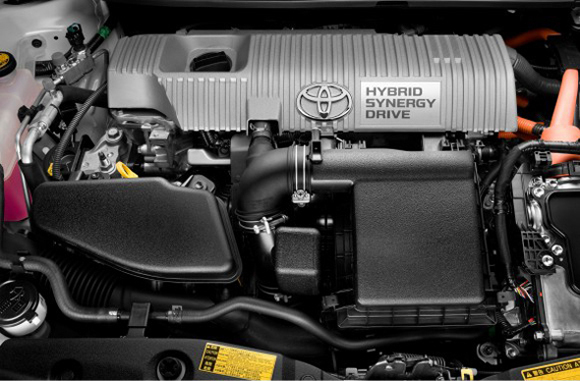 Hybrid Synergy Drive’s meteoric success really does go to show that there’s ‘Always a better way’.